Mandy and Tim’s wedding was actually the first wedding I ever filmed a number of years ago. At the time I had no clue I would later start a multimedia company that also specialized in wedding videography. The footage was very raw and didn’t employ the high end cameras, tripods, wireless mics and lenses that we use today. 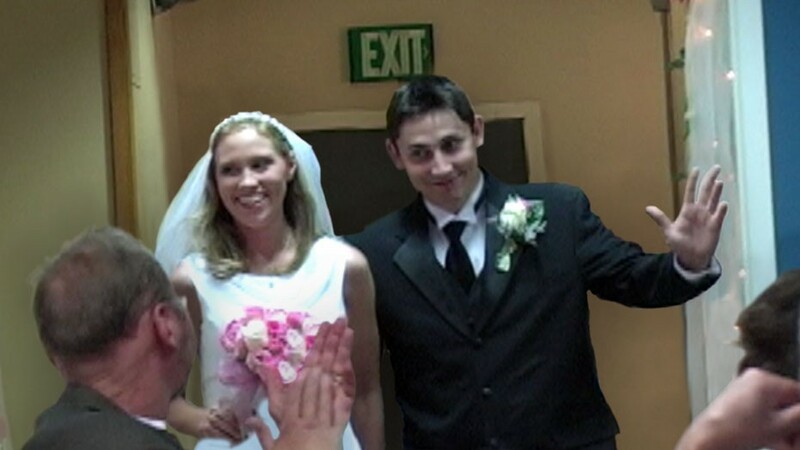 The reason I dusted off the footage and edited a Highlight Video was so I could not only give the bride and groom a copy, but I also wanted to be able to offer other couples with old wedding footage the option to have it remastered into a modern and exciting wedding highlight video. The original footage was shot in standard definition in 4:3 aspect ratio. I upsampled the footage to fit a 16:9 720p high definition work space so it could be viewed on a wide screen TV.